The Chrysler 300 has long been the most luxurious vehicle on the road with upscale, dramatic styling, the 2015 model offers a boldness that recalls the original 2005 style. For this year, there are both V-6 and V-8 engine options, as well as rear- or all-wheel drive. New features for 2015 include a premium, high-end Platinum trim level. There is a standard 3.6-liter V-6 engine which produces 292 horsepower, and an optional 5.7-liter V-8 engine which comes in at 363 horsepower. There is an eight-speed automatic transmission, and while the V-8 models offer rear-wheel drive only, the V-6 modes can be equipped with either rear- or all-wheel drive. There is an incredible 300S trim level which has been designed and produced to be an incredible performance vehicle. There is a Sport button which increases throttle responsiveness, quickens gear changes, and modifies the steering for a more sporty feel. The interior of the 300 further elaborates upon the incredible luxury seen in other models. 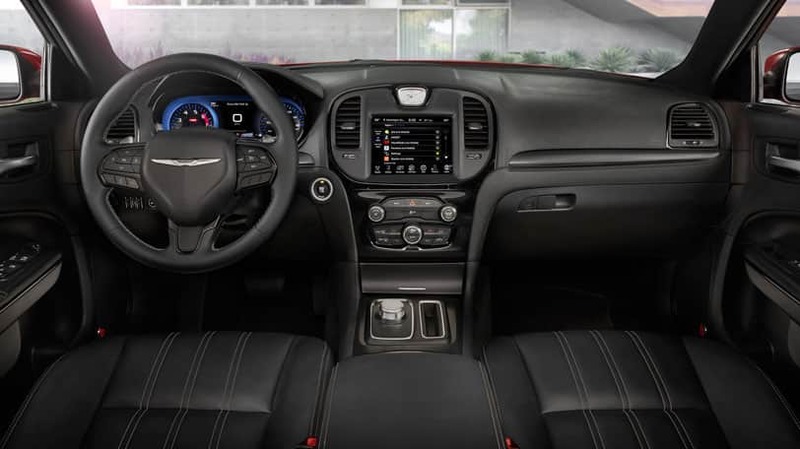 Also increased is the amount of innovative technology, with a new instrument panel featuring a 7-inch full-color configurable screen, as well as a multitude of premium standard features not often found in the segment, like Chrysler's Uconnect multimedia system, USB connectivity, cruise control, Bluetooth streaming audio, heated front seats, and an MP3 jack. The exterior has seen a number of change in the new model year, with a distinctive snout-like grille which dives deeper into the bumper, and a surround and finish that varies by your chosen trim level. The distinctive grille is bordered by adaptive high-intensity-discharge headlights, LED daytime running lights, and LED fog lights. Also new is an updated rear bumper styling, rectangular exhaust outlets, and new LED taillights. The Chrysler 300 incorporates a number of advanced safety features, like adaptive cruise control with full-stop capability, automatic braking, blind spot warning system, lane departure warning and rear cross-path detection. Also optional are backup camera and a variety of parking sensors. Have a question about the most luxurious sedan in the full-size segment? 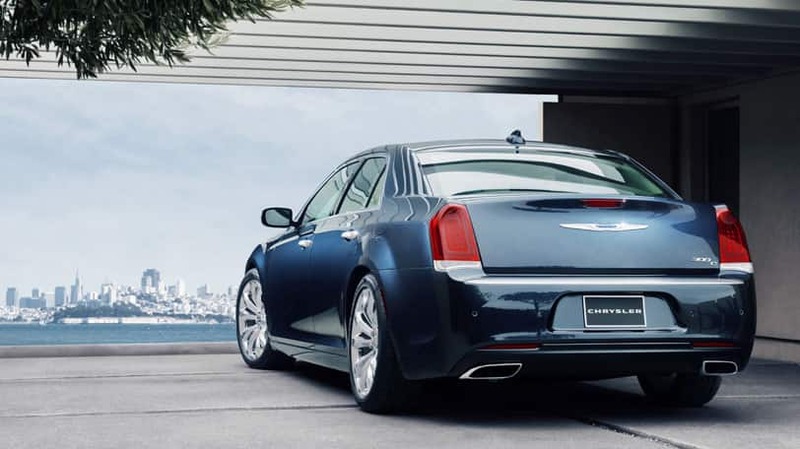 Give us a call, and we would be happy to discuss the 2015 Chrysler 300 with you! Learn more about this model on the Official Chrysler 300 Website.